Copper with Sterling Celtic designs...This set features a 1/4" wide copper bracelet with sterling silver celtic knot soldered on top. (I also make this bracelet in all sterling silver.) 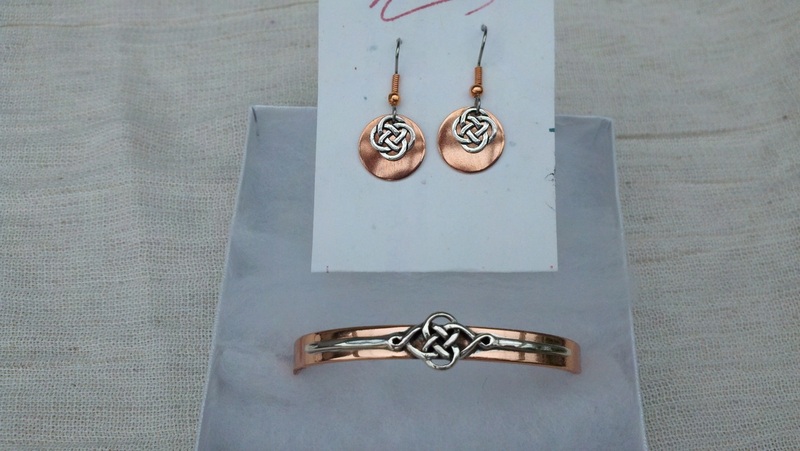 The earrings are 1/2" copper discs with silver celtic knot separate, hung on surgical steel wires. weebly website so I know your not spam. Please do not include any credit card info in the email, I will get that from you after you contact me. I accept all credit cards and Paypal. FREE Shipping for USPS Priority mail.